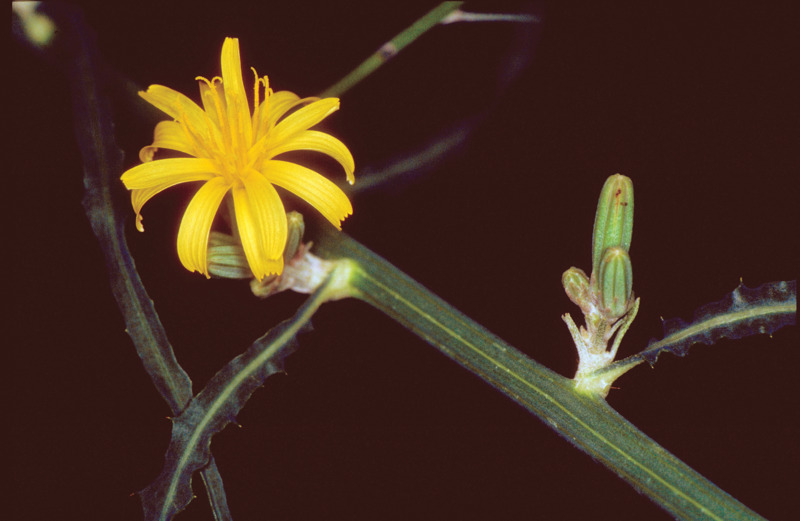 Skeleton weed (Chondrilla juncea) is a declared pest in Western Australia (WA). This article describes the nature of the plant, with links to requirements land owners/occupiers must adhere to, pest control methods and how to search, detect and report it. Native to southern Europe, the Mediterranean and south-west Asia. Relatively long-lived perennial with a deep tap root; stems and roots exude white latex when damaged. Stems: single stem to each rosette, 50-125 centimetres tall, with numerous branches. The stems and branches are hairless except for a few rigid hairs at the base of the stem. Leaves: hairless, initially produced as many-leaved rosettes. Rosette leaves are spear shaped; 40-120 millimetres long and 15-45 millimetres wide, and can often be purple in colour. Leaf margins are deeply toothed with the lobes pointing backwards towards the base. Smaller leaves are sometimes borne among the branches of flowering stems. Flowers: numerous, bright yellow heads, each with nine to 12 florets. Heads can be solitary or in groups of two to five and are attached directly on the branch. Flowers are about 20 millimetres in diameter. Seed: brown, three to four millimetres long with numerous shallow ribs. 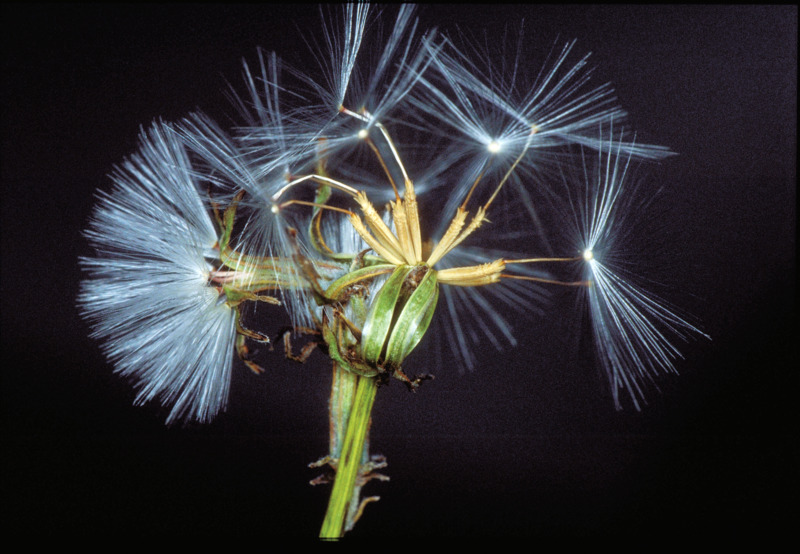 Each seed carries a pappus of white bristles, five to eight millimetres long. a training course on how to identify skeleton weed and report it. training material that you can use to teach community groups how to identify skeleton weed. Skeleton weed can reduce grain crop yields to due its deep perennial root system, and interfere with harvesting as its wiry stems are still green at harvest time. 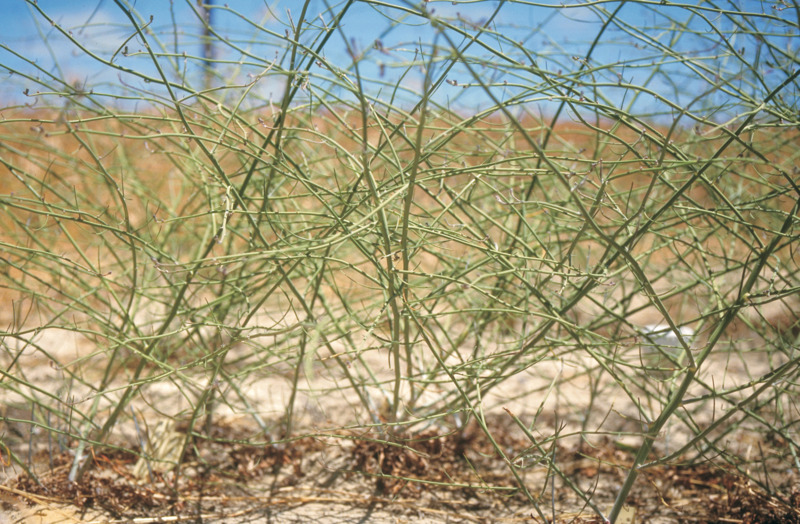 Modelling indicates that skeleton weed would cost Western Australia $6.5 million each year if it is not managed and $5.3 million if it is managed. The Western Australian Organism List (WAOL) contains information on the area(s) in which this pest is declared and the control and keeping categories to which it has been assigned in Western Australia (WA). Use the following WAOL link to reach the declaration and declaration map for: skeleton weed. Requirements for land owners/occupiers and other persons if this pest is found can be sourced through the declared plant requirements link. Detectability: medium-hard to find. People who know skeleton weed will recognise it immediately but several other weeds and at least one native plant look similar enough to cause confusion. Weeds that are confused with skeleton weed include flatweed, chicory, wild lettuce, wild radish and wild turnip. The native common popflower (Glischrocaryon aureum) is sometimes mistaken for skeleton weed. 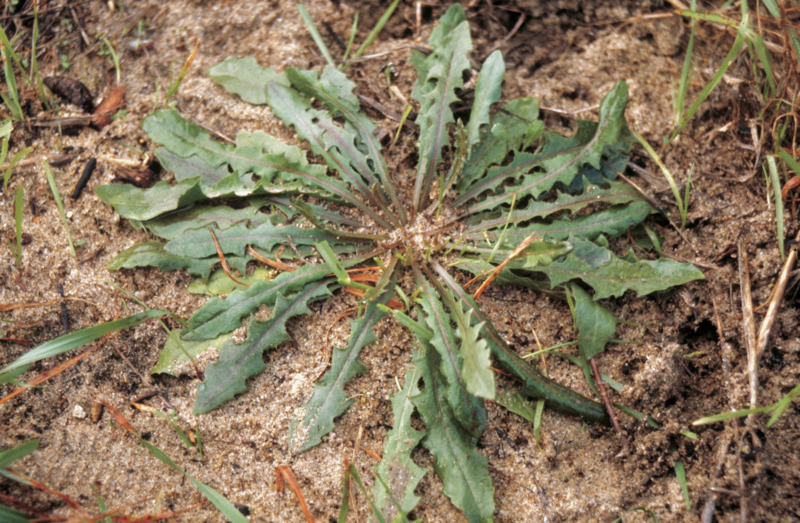 Skeleton weed starts as a rosette with hairless deeply-lobed leaves with the lobes always pointing backwards, very similar to the rosette formed by English dandelion (Taraxacum officinale). The stems are upright and hairless apart from some stiff bristles right at the base. The stems are leafless or have only small leaves, hence the common name – because it looks like the skeleton of a plant. The roots, stems and leaves of skeleton weed exude a white latex when cut or damaged. Skeleton weed has yellow daisy flowers about 20 millimetres across, and usually flowers from December until May (though it has been found flowering in July in Perth). The seeds are about three to four millimetres long with a parachute to aid wind dispersal. 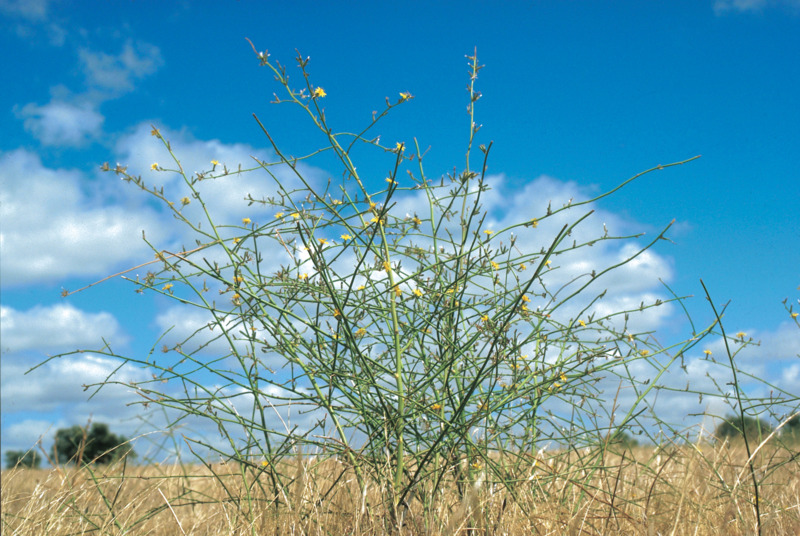 Who is likely to find it: potentially anyone in the South West Land Division could find skeleton weed as it is widespread and can occur in different situations. It has been found on farms in a number of Wheatbelt shires. It has also been found along railway lines, on roadsides and on industrial land in the Perth metropolitan area, Fremantle and further south as far as Albany. When to find it: in grain crops, skeleton weed is most likely to be found at harvest time. In other situations it is most recognisable when flowering, in summer and autumn. Where to find it: skeleton weed could be found in farm paddocks, along roadsides, along railway lines, on industrial land and around ports. It is occasionally found in bushland and lawns. Report: this pest to the Pest and Disease Information Service using the contact details given below or by using the MyWeedWatcher smartphone and tablet application or online reporting tool. Control methods for this declared plant can be found through the skeleton weed control link.